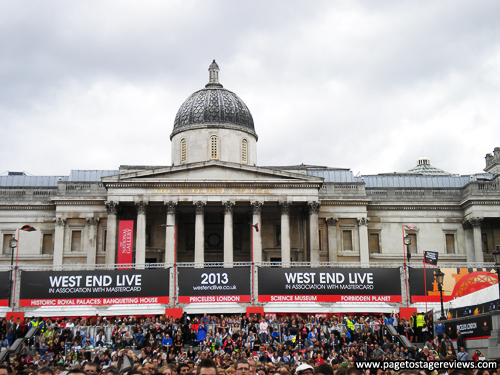 This year was my 4th time at West End Live and it was bigger and better than ever! My friend and I arrived at Trafalgar Square at 9am, a full 2 hours before it was about to kick off, and there were already a lot of people accumulated in the two queues outside of the gates. When we were eventually let in we managed to get great spots in the second row behind the barricades, smack-down in front of the middle of the stage. We were standing right behind people who had arrived at 6am (!) so we felt very pleased for getting such excellent viewing spots without hindering our beauty sleeps too much. 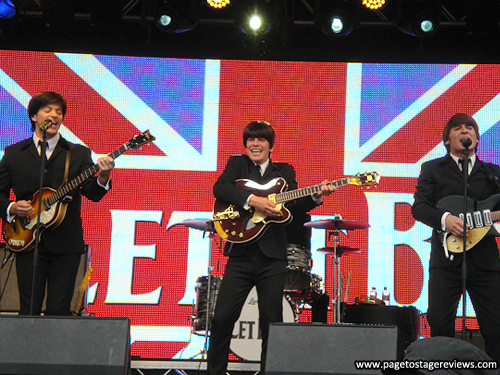 The Saturday show started with a long set by Let It Be, which is more a tribute act to The Beatles than an actual musical but it's a very good one at that. I had the pleasure to see the show earlier on in the year and it was nice to be reminded by how good these guys are. 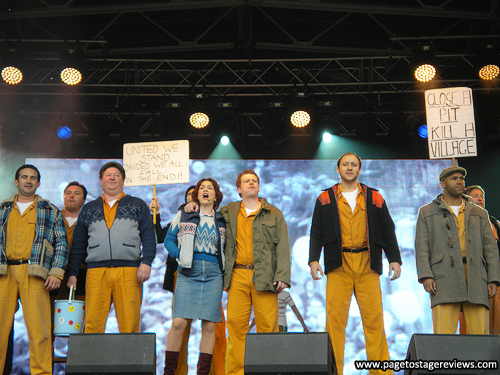 Following them was Once: A New Musical [find my review of the show here], a beautiful piece of theatre that came across exceptionally well on the West End Live stage. 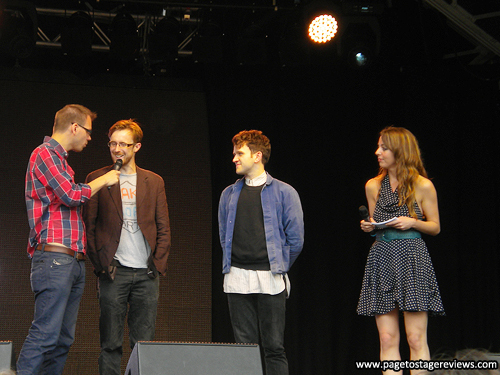 Their set of course included the iconic Oscar winning song Falling Slowly. Unfortunately I have no photos from this show as they were so active on stage during the performance that all my pictures turned out blurry. 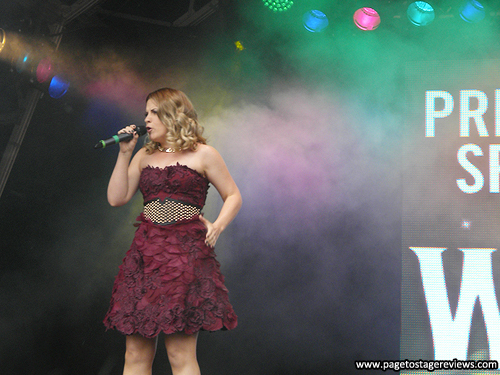 Next up was hit-musical Wicked which has a very loud and passionate following. As soon as leads Gina Beck (Glinda) and Louise Dearman (Elphaba) came on stage the crowd around us went absolutely crazy, and I even spotted a tear or two in the front row during the performance of "For Good". Billy Elliot the Musical followed with a wonderful medley of songs that not only showed off one of their fantastic Billy's but also the entire cast in the group numbers, the kids are particularly fantastic and since it's been a few years since I've seen the musical I hope to catch it again soon. 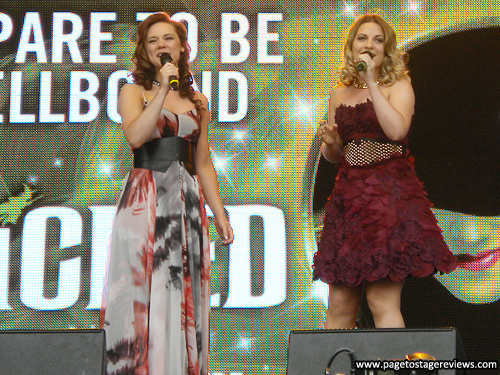 Gina Beck and Louise Dearman of Wicked perform "For Good"
Gina Beck and Louise Dearman of Wicked after their performance of "For Good"
Wicked's Louise Dearman performs "Defying Gravity"
Another show that has a big and passionate fanbase is Les Misérables. 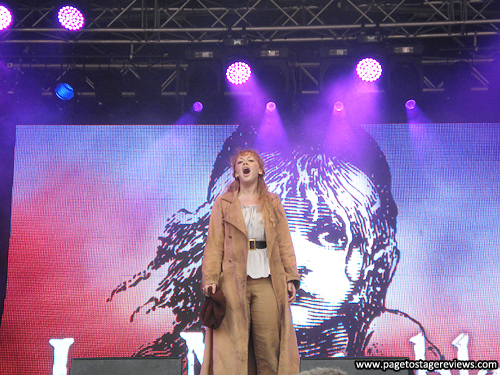 As soon as the first cast member came on stage the crowd started screaming and they didn't ease until the end of the fantastic set that included a particular wonderful rendition of "One Day More". 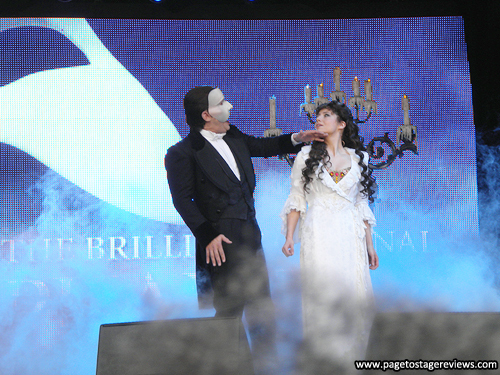 And while I admit that The Phantom of the Opera isn't amongst my favourite musicals, they really managed to get the atmosphere of the show across on stage with full costume and make-up (and the aid of a lot of dry ice!). 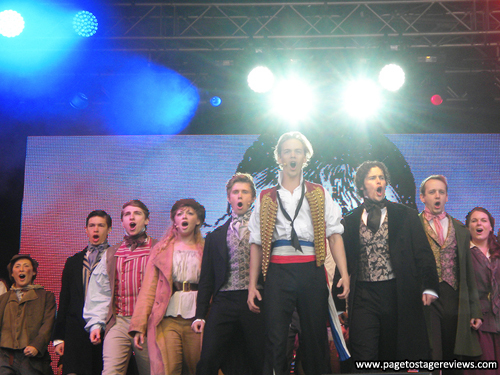 The cast from Les Mis performing "One Day More"
One of my favourite musicals currently in the West End is Top Hat and I was so pleased they performed last weekend! Unfortunately they only did one number but with their immense tap-dancing skills they did kind of stole the show (I thought so at least). 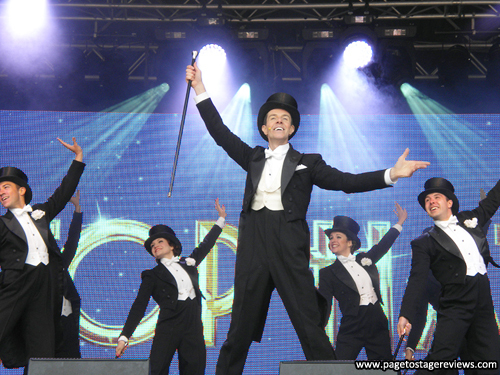 Note to self: Book tickets to see Top Hat again before it closes later this year. 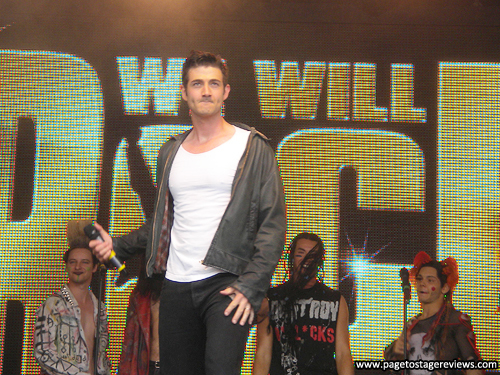 My second favourite performance of the day was by the cast of We Will Rock You. 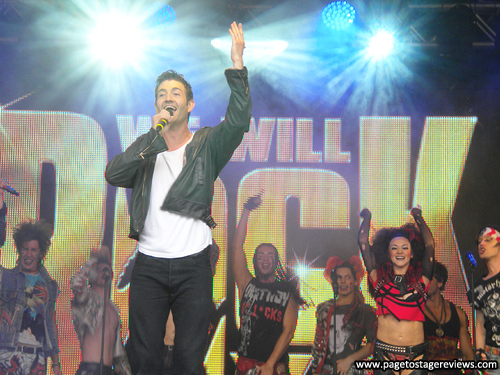 The famous music by Queen always manages to get the majority of the people in Trafalgar Square singing and dancing along and with Oliver Tompsett at the helm as Galileo they were particularly great this year. The next show on stage was the wonderful Matilda, another one of my favourites as it's filled with catchy and clever songs and exceptionally talented kids. 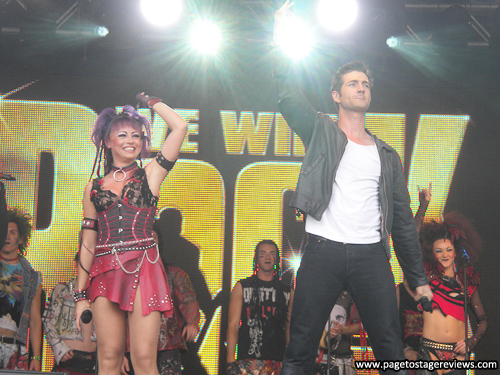 Unfortunately this was followed by The Bodyguard which is one of my least favourite musicals when I saw it and think the very average showcase at West End Live didn't do them any favours either. 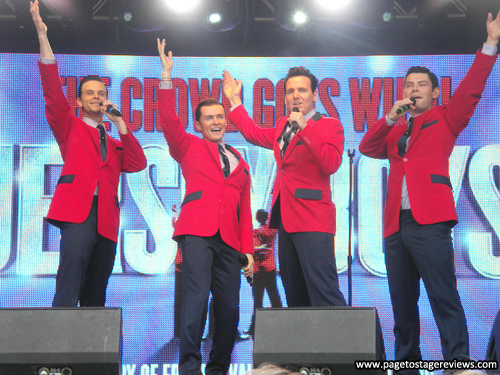 Thankfully crowd-pleasers Jersey Boys did a long set after that which was full of the famous Frankie Valli and the Four Seasons songs and they reminded me how much I always love them at West End Live. I finally got to see the musical for the first time this year and I may have to go back again soon after seeing their wonderful performance! We also got a lovely surprise in the shape of John Heffernan and Harry Melling from The Hothouse, a black comedy currently playing at Trafalgar Studios. I really liked the play when I saw it last month and I hope more people have checked it out after the extra exposure they received on the day. Next we were treated to a lot of guys in very tight shirts (or no shirts at all!) 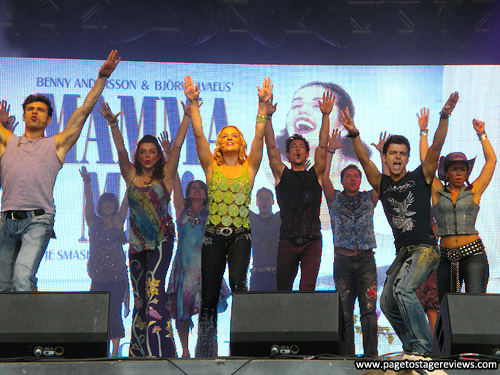 with Mamma Mia!, Thriller Live and Burn the Floor. I initially wasn't too interested in catching the latter but after their fantastic performance I regret not getting a chance to see the show before its closing tomorrow (June 30). 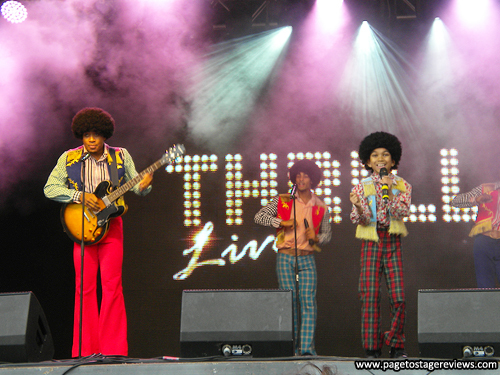 At least I got to see some of their fantastic dance moves last Saturday and hopefully they will return to London at some stage. 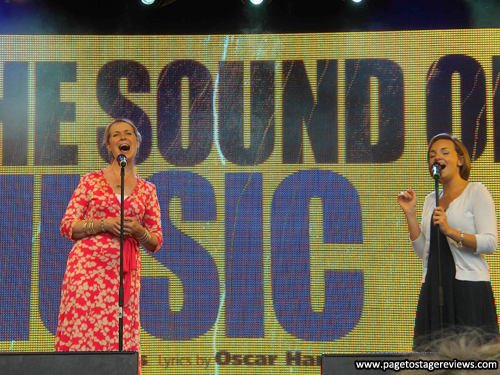 Regent Park's Open Air Theatre will show a production of The Sound of Music this summer and we got a nice little taster of the show last weekend. I wonder if it started raining at the exact moment the act started so we would all get the *real* Open Air Theatre experience? 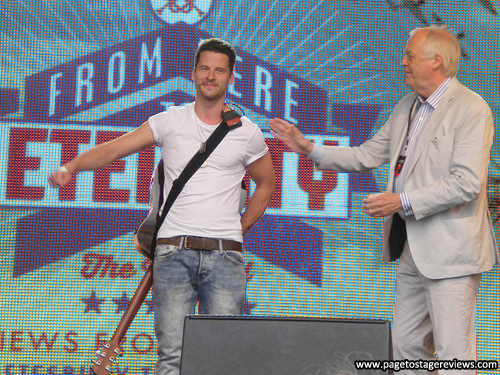 Surprise guest Sir Tim Rice introduced a sneak peek of another upcoming show, his new musical From Here to Eternity. The very talented Robert Lonsdale performed the song "Fight The Fight" which sounded very promising and I'm really looking forward to seeing FHTE now! 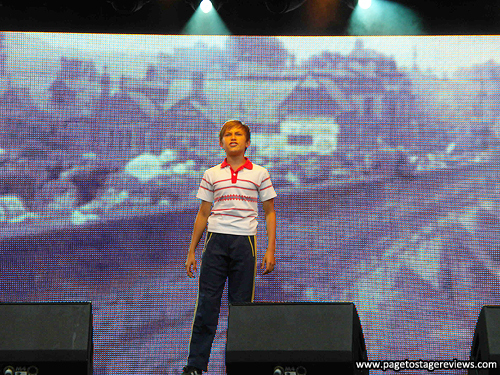 Robert Lonsdale performs "Fight The Fight"
I don't have any pictures from the rest of the acts we saw that day which included Peter Pan: Never Ending Story (a new arena tour which I initially was very interested in but their performance last weekend didn't do much for me), West End Kids (who did a fantastic rendition of "Step in Time" from Mary Poppins), The Colour Purple (another one I was actually interested in but the performance at West End Live didn't sell it to me), Dirty Dancing (which I'm quite keen to catch as I've never seen it on stage), Spamalot (always a delight to watch) and the fantastic A Chorus Line (which I'm really glad I've already seen as it's sadly closing at the end of August). On the Sunday I only got a chance to see Matilda and Jersey Boys because of other commitments, but because the programming for this day was largely tailored to a much younger audience I didn't miss out on too much I was interested in. Except for maybe the sneak peek at High Society, which I hope to see when it makes its way to London. 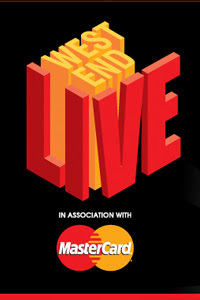 In all it was a fantastic year again for West End Live. Some brilliant performances that really showcased what London's West End has to offer and although we didn't quite have a sunny weekend like last year at least it didn't pour down continuously like two years ago either. 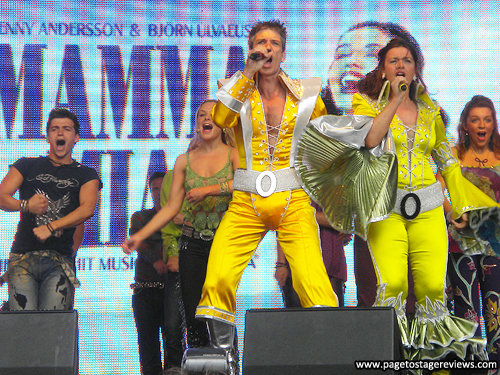 Bring on West End Live 2014! Great post! So strange to see different faces for the same shows from 2 years ago, but I imagine that's the way it always is. Glad you got some good weather for it and pleased to hear the West End is still bringing about some great shows (& talent)! 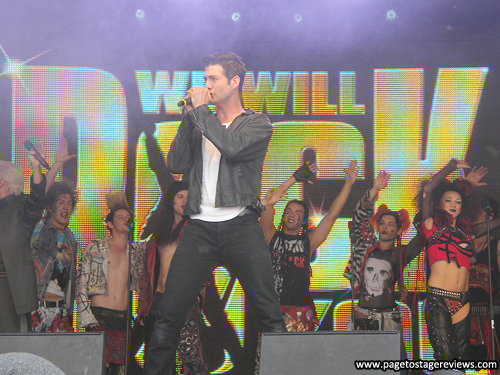 Great post, But did you not stay for the finally from the Rock of Ages Cast??? Thank you! 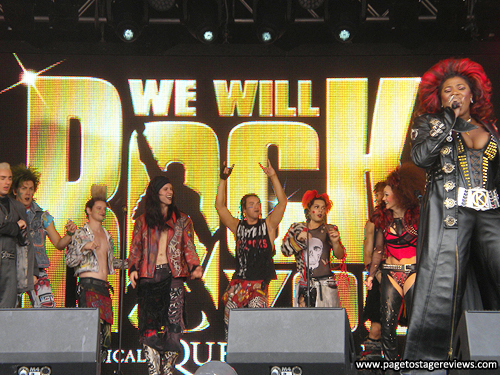 I really regret that I was unable to stay for the Rock of Ages performance (and air guitar record!) but my friend and I already had tickets to attend a talk by some of the creators of the new Charlie and the Chocolate Factory musical at the same time (which, thankfully, was great too).